The Atlantic Herring Research Set-Aside (RSA) Program will continue to support an important project focused on maintaining and expanding bycatch avoidance strategies in the Atlantic herring midwater trawl fishery both at sea and through shoreside sampling. The project is a partnership between industry, the University of Massachusetts Dartmouth School for Marine Science and Technology (SMAST), and the Massachusetts Division of Marine Fisheries (DMF). The New England Fishery Management Council sets research priorities for the Herring RSA Program, while NOAA Fisheries manages the RSA competition and the program itself. This particular project, which was announced today by the Northeast Fisheries Science Center, is consistent with the research priorities identified by the Council for the 2019-2021 RSA award cycle. “We’re pleased that researchers and the fishing industry are able to utilize the Herring RSA Program to maintain this important bycatch avoidance project,” said Council Chairman Dr. John Quinn. The South Atlantic Fishery Management Council is currently seeking public input on Snapper Grouper Regulatory Amendment 29 that includes proposed requirements designed to help improve survival of released fish. The amendment would also modify current regulations for the use of powerhead gear. Public hearings on proposed measures and alternatives will be held next Tuesday, April 30 and Wednesday, May 1 via webinar beginning at 6:00 p.m. The Council is also seeking public comment on a proposal to add two species of mackerel to the Dolphin Wahoo Fishery Management Plan as ecosystem-component species to recognize their importance as prey. Public scoping webinars are also scheduled in May as noted below. The draft amendment addresses use of best fishing practices to improve survival of released snapper-grouper species, including alternatives for the use of descending devices and/or venting tools to release fish experiencing barotrauma (injury due to the expansion of the gas when reeled up from depth) and modifications to current non-stainless steel circle hook requirements. The amendment also includes measures to modify powerhead regulations. The public hearing summary and presentations are available from the Council’s website at: http://safmc.net/safmc-meetings/public-hearings-scoping-meetings/. The online public comment form is also available and public comment will be accepted until 5 p.m. on May 10, 2019. The Council is considering adding bullet mackerel and frigate mackerel to the Dolphin Wahoo FMP as ecosystem component species, acknowledging the role the two currently unmanaged species play as important prey for both dolphin and wahoo. Learn more and provide your comments! 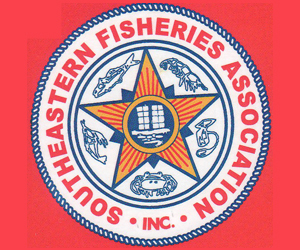 The New England Fishery Management Council has a busy schedule between now and its June 11-13, 2019 meeting in So. Portland, ME. Here is a list of the key Committee and Advisory Panel (AP) meetings that currently are posted on the Council’s calendar. GROUNDFISH: Several groundfish-related meetings are in the queue. Groundfish Monitoring Review – A sub-panel of the Council’s Scientific and Statistical Committee (SSC) will meet in Providence, RI on Wednesday and Thursday, April 24 and April 25 to conduct a review of the groundfish monitoring analyses behind draft Amendment 23 to the Northeast Multispecies Fishery Management Plan (FMP). Meeting materials can be found at SSC Sub-Panel Review. 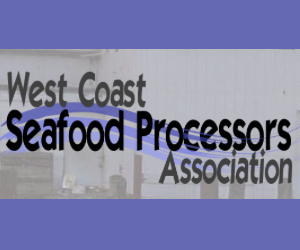 Groundfish Party/Charter Listening Sessions – The Council still has several listening sessions on the calendar to collect public input on whether or not it should pursue limited access in the groundfish party/charter boat fishery. The remaining sessions are scheduled for: April 23 in Narragansett, RI; May 7, 8, and 9 respectively in Chatham, Plymouth, and Gloucester, MA; and May 10 via webinar. The meeting lineup and background information are posted at potential party/charter limited access. Groundfish Committee, Groundfish Advisory Panel, and Plan Development Team – All three of these bodies will meet jointly in So. Portland, ME on Monday and Tuesday, May 20 and May 21 to review the SSC Sub-Panel’s groundfish monitoring review findings and to discuss Amendment 23. Information will be available shortly at joint groundfish meeting. 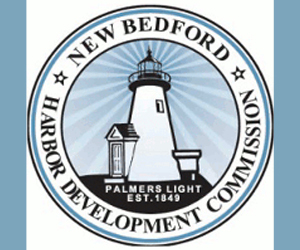 SKATES: The Skate Committee will meet on Thursday, April 25 in New Bedford to discuss Amendment 5 to the Northeast Skate Complex FMP, which proposes to limit access into the fishery. Documents are available at skate limited access. The Skate Advisory Panel met on April 23 in advance of the Committee. Skate Advisory Panel and Skate Committee – Both the AP and Committee will meet again respectively on Tuesday, May 21 and Wednesday, May 22 in Providence, RI. Save the dates. HABITAT: The Habitat Committee will meet on Thursday, May 9 in Foxborough, MA to discuss: (1) research planning efforts for the Great South Channel Habitat Management Area; (2) a fishing effects model; (3) offshore energy issues; and (4) more. Visit habitat meeting for additional information. SCALLOPS: The Scallop Committee has several meetings in the pipeline. Scallop Advisory Panel and Plan Development Team – The AP and PDT will meet jointly on Tuesday, May 21 in Providence, RI for a Research Set-Aside (RSA) Program “Share Day.” Information will be posted as it becomes available at Scallop RSA Share Day. 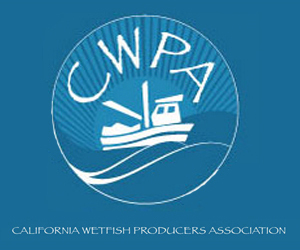 Scallop Advisory Panel – The AP will meet again the following day, Wednesday, May 22, in the same location. ATLANTIC HERRING: The Herring AP and Herring Committee will meet back-to-back on Wednesday and Thursday, May 29 and 30, respectively. Save the dates. ECOSYSTEM-BASED FISHERY MANAGEMENT (EBFM): The EBFM Committee will meet on Tuesday, May 28 in Quincy, MA and likely will meet again on Monday, June 10. Save the dates. EXECUTIVE COMMITTEE: The Council’s Executive Committee will meet on Wednesday, May 29. More information will become available as the date draws near. MEETINGS BY OUR PARTNERS: The following are additional meetings that may be of interest to New England stakeholders. MAFMC STRATEGIC PLAN MEETING: The Mid-Atlantic Fishery Management Council (MAFMC) will hold a public meeting on Wednesday, April 24 in Narragansett, RI to gather feedback on the development of its 2020-2024 Strategic Plan. Additional meetings are scheduled for New Jersey, Virginia, and via webinar. Details are available at MAFMC Strategic Plan. ATLANTIC STATES MARINE FISHERIES COMMISSION (ASMFC): ASMFC will meet April 29-May 2 in Arlington, VA. Visit the commission’s 2019 Spring Meeting webpage. DOLPHIN WAHOO: The South Atlantic Council has scheduled two webinars on May 7 and May 9 to gather public comments on whether it should add bullet and frigate mackerel as ecosystem components to the Dolphin Wahoo FMP. This plan extends along the entire East Coast and includes federal waters off New England. Learn more at Dolphin Wahoo. 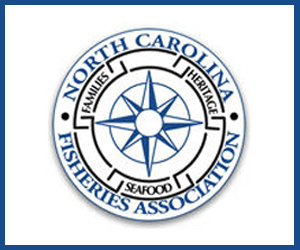 COUNCIL COORDINATATION COMMITTEE (CCC): The CCC, comprised of the leadership teams from all eight of the nation’s regional fishery management councils, will meet May 14-16 in Charleston, SC. The agenda and webinar links are posted at May 2019 CCC Meeting. NORTHEAST REGION COORDINATING COUNCIL (NRCC): The NRCC will meet May 16-17 in Charleston, SC. More information will become available at NRCC. A sub-panel of the New England Fishery Management Council’s Scientific and Statistical Committee (SSC) will meet on Wednesday, April 24 and Thursday, April 25, 2019 to discuss groundfish monitoring issues. The public is invited to listen live via webinar or telephone. Here are the details. LOCATION: The meeting will be held at the Hotel Providence in Providence, RI. START TIME: 10:00 a.m. on Wednesday, April 24 and 8:30 a.m. on Thursday, April 25. CALL-IN OPTION: To listen by telephone, dial +1 (415) 655-0060. The access code is 376-622-502. Please be aware that if you dial in, your regular phone charges will apply. AGENDA: The SSC sub-panel will review the scientific validity of information and analyses concerning groundfish monitoring issues. The sub-panel’s report will be considered by the Council in evaluating management alternatives for improving monitoring of catch under the Northeast Multispecies Fishery Management Plan. 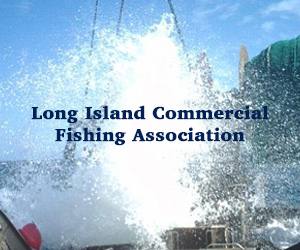 Wednesday, April 24, 2019 – The sub-panel will: (1) receive documents and presentations containing information and analyses concerning groundfish monitoring issues and evaluate the scientific validity of the information, along with any recommendations provided; and (2) listen to public comments. Thursday, April 25, 2019 – The sub-panel will develop a written report for the Council. During this day of the meeting, which is a sub-panel work session, the public will not have an opportunity to comment unless requested by the chair. COMMENTS: The deadline for submitting written comments for consideration at this meeting is 8 a.m. on Monday, April 22, 2019. Address comments to Council Chairman Dr. John Quinn or Executive Director Tom Nies and email them to comments@nefmc.org. The address for mailing comments via the U.S. Postal Service is: New England Fishery Management Council, 50 Water Street, Mill #2, Newburyport, MA 01950. MATERIALS: Meeting materials will be posted on the Council’s website at SSC April 24-25, 2019 documents. The New England Fishery Management Council has approved the range of alternatives for Framework Adjustment 6 to the Atlantic Herring Fishery Management Plan, which contains 2019-2021 specifications for the fishery and a new overfishing definition for Atlantic herring. The Council is expected to take final action on the framework during its June meeting with the goal of having updated 2020 specifications in place by the start of the new fishing year. Fishing year 2019 specifications are in place already. 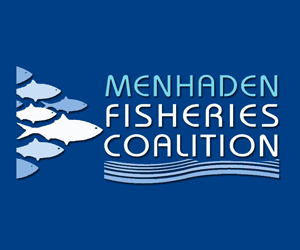 The National Marine Fisheries Service (NMFS/NOAA Fisheries) implemented an inseason adjustment at the request of the Council to ensure that appropriate catch limits were in affect for the current fishing year in a timely manner to prevent overfishing. These existing 2019 specifications will be included in the 2019- 2021 package without revisions. The primary focus of Framework 6 will be: (a) 2020 specifications; and (b) the updated overfishing definition. The framework will include 2021 specifications, but these numbers likely will be revised in a subsequent action to reflect the results of the next stock assessment, which now is scheduled for spring 2020. At that time, the 2018 Atlantic Herring Benchmark Stock Assessment will be updated to incorporate 2018 and 2019 resource survey and fishery catch data. During its mid-April meeting in Mystic, CT, the New England Fishery Management Council approved a wide range of alternatives that will be further developed for consideration in Groundfish Monitoring Amendment 23. This step paves the way for the Groundfish Committee, Plan Development Team, and Groundfish Advisory Panel to continue working on these alternatives and advance the amendment to the next level of analyses. Received a quick overview of the ongoing listening sessions being conducted to solicit public comment on whether the Council should develop a limited access program for the recreational party/charter boat fishery under the Northeast Multispecies Fishery Management Plan (groundfish plan). The final agenda and meeting materials for the Atlantic States Marine Fisheries Commission’s 2019 Spring Meeting are now available at http://www.asmfc.org/home/2019-spring-meeting; click on the relevant Board/Committee name to access the documents for that Board/Committee. For ease of access, all Board documents have been combined into one document Main Meeting Materials. Not included in this document are materials for the Executive Committee and Law Enforcement Committee. Links to individual board/committee materials can be found on the 2019 Spring Meeting page. 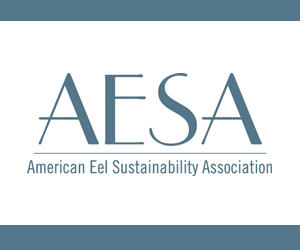 Supplemental materials will be available at http://www.asmfc.org/home/2019-spring-meeting by April 24th. Board meeting proceedings will be broadcast daily via webinar beginning April 29th at 1 p.m. and continuing daily until the conclusion of the meeting (expected to be 12:15 p.m.) on Thursday, May 2nd. The webinar will allow registrants to listen to board deliberations and view presentations and motions as they occur. No comments or questions will be accepted via the webinar. Should technical difficulties arise while streaming the broadcast the boards/sections will continue their deliberations without interruption. We will attempt to resume the broadcast as soon as possible. Please go to – https://attendee.gotowebinar.com/register/1041506190356646145 – to register. 2. Comments received by 5:00 PM on the Tuesday immediately preceding the scheduled ASMFC Meeting (in this case, the Tuesday deadline will be April 23, 2019) will be distributed electronically to Commissioners/Board members prior to the meeting and a limited number of copies will be provided at the meeting. 3. Following the Tuesday, April 23, 2019 5:00 PM deadline, the commenter will be responsible for distributing the information to the management board prior to the board meeting or providing enough copies for the management board consideration at the meeting (a minimum of 50 copies). The submitted comments must clearly indicate the commenter’s expectation from the ASMFC staff regarding distribution. As with other public comments, it will be accepted via mail, fax, and email. The Pacific Fishery Management Council adopted ocean salmon season recommendations that provide recreational and commercial opportunities for most of the Pacific coast, and achieve conservation goals for the numerous individual salmon stocks on the West Coast. North of Cape Falcon, a large increase in hatchery coho over last year will provide a welcome increase in both recreational and commercial fishing opportunities. In addition to recommending salmon regulations for 2019, the Council developed a plan to work collaboratively with NMFS on Southern Resident killer whales, which are listed under the Endangered Species Act. “This year’s package was adopted after careful consideration and analysis in order to meet our conservation objectives, consider impacts on the prey base important to Southern Resident killer whales, and consider in-river and Puget Sound fisheries,” said Council Chair Phil Anderson.“The Council also established a workgroup that will be working closely with National Marine Fisheries Service to assess on a longer term basis the ocean salmon fisheries effect to the prey base of Southern Resident killer whales,” Anderson said.